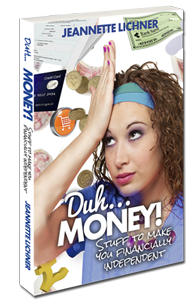 We have two copies of Duh… Money to give away to two lucky readers. For your chance to win leave a comment containing one piece of financial advice you wish someone had told you. Following Pinching Pennies on Twitter with the handle @Pinch_Pennies and tweeting the competition (tag us in it too). Following Pinching Pennies on Facebook and writing about the competition in your status (don’t forget to tag us). Leave a separate comment for each entry method you use. The competition is open to UK entrants only and will close at midnight on September 30th 2014. Don’t spend what you can’t afford. My parents saved for everything and never got into debt. I would have liked Business Management etc to be taught at school. Always pick up pennies in the street – they add up! I wish I had been taught how to budget and to NEVER get anything on credit! Put more in your savings account! Don’t get into debt on credit cards, pay them in full every month if you are going to use them. Don’t spend, do free things!